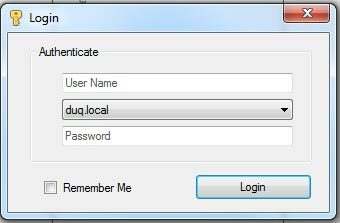 The following instructions will help you to print from your Windows application. If you have not installed the application yet, you can find the installation instructions here. 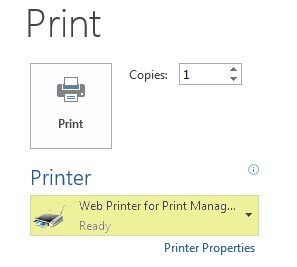 When you are ready to print a document, click on the print button and then find the Web Printer for Print Manager Plus in the printer drop down on your computer. After clicking the print button, the following upload screen will appear. When you click on "Upload" you will receive an authentication pop up. Enter your Multipass credentials to continue. 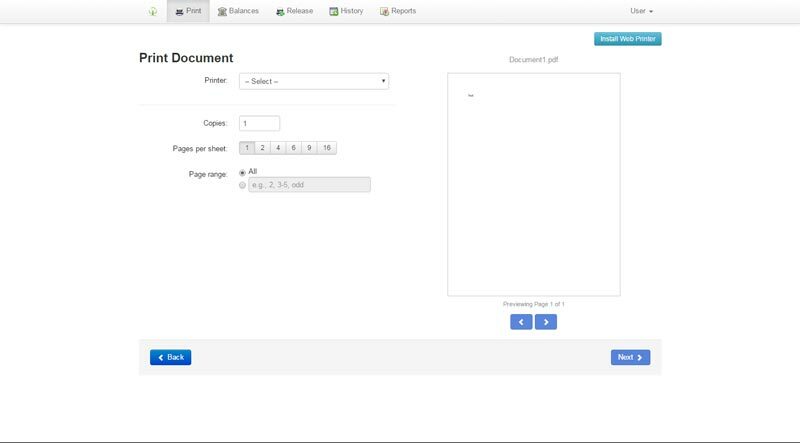 You will then receive a pop up box to print your document. 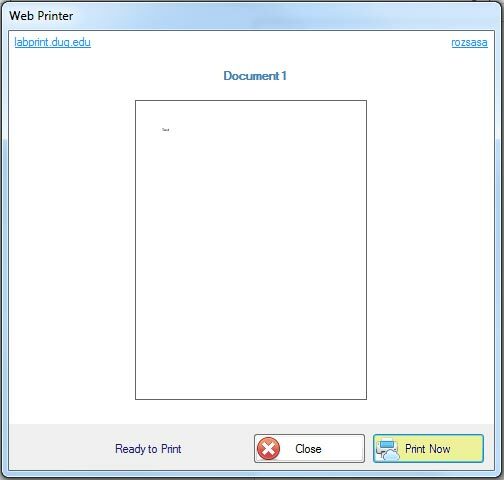 If you choose to continue printing the document, the following pop up will appear. Choose your printer from the drop down box and click "Next" in the lower right corner of the pop up box. You will receive the following message for your successful print. 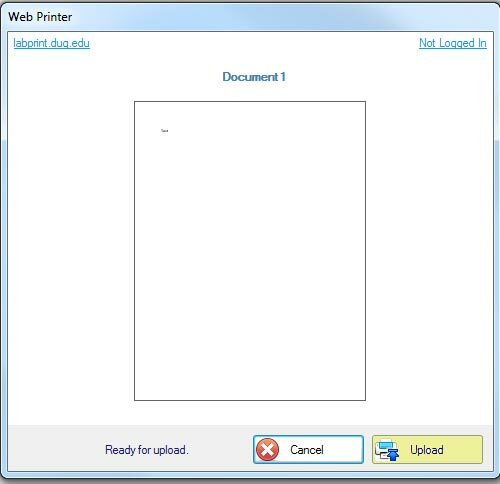 If you choose to wait to print your document until a later time, just log into webprint.duq.edu and follow the normal wireless printing instructions. Printable PDF of the instructions to install and use the Print Manager Plus App on your computer.